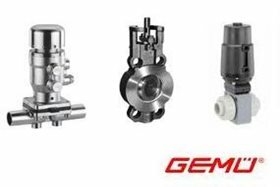 GEMÜ is the market leader in developing, manufacturing, and selling engineered diaphragm valves, actuators and control systems since the 1960's. GEMÜ is committed to offer top-quality products for demanding markets with their ever increasing needs and performance requirements. Therefore GEMÜ products are well known for their modular design, high performance, and superior quality.